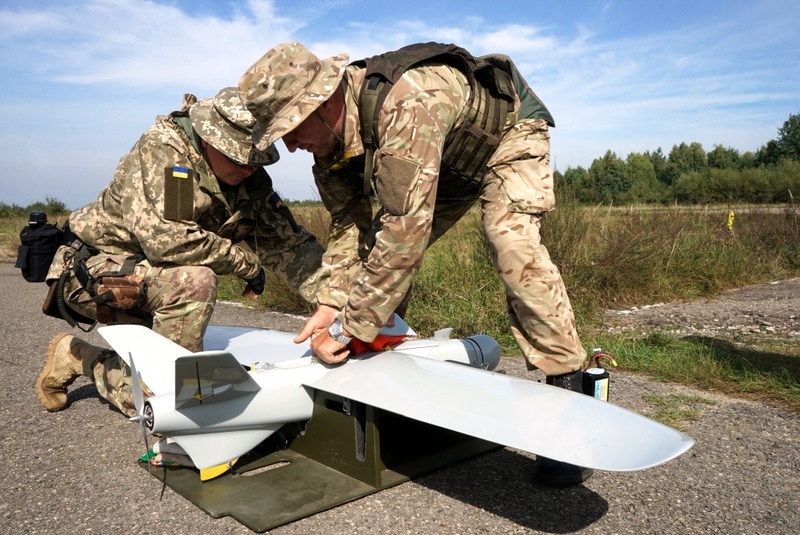 Ukrainian soldiers pack up a drone used during an exercise on September 11, 2018. Photo by Spc. Amy Carle/U.S. Army. The U.S. government intends to introduce modifications to the Missile Technology Control Regime that would make it easier to export military drones. C4ISRNET reported that the U.S. State Department is preparing to present the changes, which have not yet been disclosed, at a meeting in November. At War is Boring, David Axe writes that Boeing’s design for the MQ-25 Stingray drone has roots in a Cold War-era stealth plane program. At Aviation Week, Lee Hudson writes that the U.S. Marine Corps is debating whether to acquire its own fleet of MQ-9 Reapers. At Drone Wars UK, Chris Cole looks at how Brexit could affect the future of Anglo-French efforts to build next-generation drones. At Bloomberg, Nathaniel Bullard and Claire Curry look at why energy companies are turning to drones for inspections. At Wired, Jack Stewart considers the different ways that drone pilots are preparing to help with recovery efforts in the aftermath of Hurricane Florence. Also at Wired, Eric Niiler looks at how the Skidaway Institute of Oceanography used unmanned underwater vehicles to track the progress of the hurricane. At The Cove, Benjamin Grubb reflects on how infantry platoons used mini-drones during a recent Australian Army exercise.